Learning Saxophone – What’s the Real Point of Playing in All 12 Keys? Playing a song in all 12 keys…..
Something that we at least theoretically feel is a good thing since we’ve been told it’s a good idea. But what’s the real point? Are you going to go play a show and do ‘Blue Bossa’ in the original key and then for your second number play Blue Bossa modulated a half step up and then for your third number…..
Is learning a song in all 12 keys even worth the time if you can’t play it well in the original key? Knowing the notes is just one piece of music. If your rhythm, articulation, phrasing, etc isn’t sounding good, then learning a song in 12 keys is a waste of time (in my opinion). So learn music in the original key first, and then once you can play it well, you can move on knowing it in all the keys. It’s up for debate whether you should know more songs, but only in the original key, or fewer songs and in all the keys. Knowing the songs in all the keys means you have a much greater understanding of the harmonic structure of the piece. That’s a good thing, but it’s not the only piece of the puzzle. Having a wider variety of songs in your repertoire is nice, it can be argued that having a smaller repertoire of songs that you can really play might be better. The middle ground might be knowing the song in the original key and also knowing the intervals of the song in terms of numbers. Then you can figure out how to play it in another key if you need to. It will take some time to be able to do that well on the spot. Being comfortable with scales in all keys is an important early step. Playing in different keys on saxophone is a bit different than playing in different keys on piano. On piano, you may be able to keep the shape of your hand position and simply move it. On sax you can use completely different fingers in another key. So think about where you’re at musically and don’t just learn music in all twelve keys because you hear you should. Do it if it makes sense for you right now. 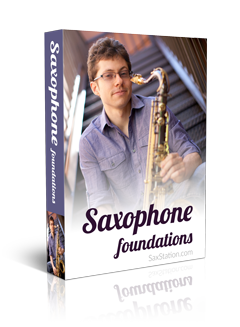 Learning Saxophone – Having Trouble Remembering Music? Ok…so I differ here. While I don’t feel you need to learn every tune in every key (jazz standards…especially bebop ones don’t usually move to other keys), I’ve found it very useful to learn the old Tin Pan Alley tunes in many if not all keys. 2) Mental flexibility…the 1st few keys are the hardest. When you fixate on a tune being in “Bb” or whatever, you think pitch, not function. When you switch over to thinking function, notes and chords become more portable. If its a 3rd, then its a 3rd in any key, regardless. It even becomes easy to switch a tune to minor if you’re feeling freaky. Thanks for adding your perspective. I heard stories about musicians in NY playing tough tunes in different keys to figure out who really could play. I have experienced that with singers wanting to do songs in different keys. So if you’re playing with singers, it’s definitely a skill you want to have. And I agree with the idea of becoming more flexible and knowing the song better. My main point in writing the post was to talk about when and where it’s the most useful to learn a song in all the keys. Figured that if beginning players may hear that they have to do this and it might throw them off from practicing the other dimensions of their playing. There’s definitely a stage where learning songs in all the keys or at least a few keys is a very helpful activity. Playing complicated bebop heads in all the keys seems like it would take more time than it’s worth since the main use of that would exist if you played with a group of musicians who all decided they should learn the same bebop head in all keys. Generally with something like that, people will be most comfortable with the original key I would think (even if they could play it in all keys) and there’s no real reason to modulate somewhere else. Though I have heard of string players recording bebop in keys that are a bit more comfortable for them. The flexibility and being able to play with singers are both good things. Nice post. You have a good point there. 1) I play several different musical instruments and the highest number of sharps that I’ve ever used is; 4 sharps (the key of E) and four flats (the key of Ab). And I use these two keys is very, very rarely. 2) The majority of the music I play, probably 98% are in these keys: C, G, F, D, Bb, A, and Eb. If you notice, I’m only going up to 3 sharps and 3 flats at the most. And I don’t really use the keys of A And Eb that much. 3) I woul say that 80% of the music I play are in these keys: C, G, F, D, and Bb. If you notice, I’m only going up to 2 sharps and 2 flats at the most. And I don’t really use the keys of D And Bb that much. 4) The keys that I play in the most are: C, G and F. Notic that I’m only going up to 1 sharp and 1 flat. Of these three keys, I play majority of my music in C and G.
5) Up to now we have been discussing major keys. I play majority of my music, probably 98% are in these three minor keys: Am, Em, and Dm. Notice that these minor keys are the relative minors of the keys of: C, G, and F major. Once in a great, great while I may have to play music in either Bm or F#m. But thus is very, very, very rare. Again notice that these minor keys are the relative minors of the keys of: D and A major. 6) Another point I want to make is that I’m talking here about the original keys that these songs or the music is written in. I’m not even talking about transposing a song into another key yet. • I play MOSTLY classical music, some rock, blues, & country, and a little bit of pop (popular). • Just about all the guitar music I play seems to favor the sharp keys: C, G, D, A, E, and some F.
• Just about all the piano music I play seems to favor mostly the flat keys: C, F, Bb, Eb, Ab, G, D, and some A & E.
I believe that you only need to learn anywhere from 5 keys (C, G, F, DBb), 7 keys (C, G, F, D, Bb, A, Eb), to 9 keys (C, G, F, D, Bb, A, Eb, E, Ab) at the most. Learning 5 keys will take you up to two sharps and two flats (C, G, F, D, Bb). Learning 7 keys will take you up to two sharps and two flats (C, G, F, D, Bb, A, Eb). Learning 9 keys will take you up to two sharps and two flats (C, G, F, D, Bb, A, Eb, E, Ab). The more keys you learn, the more music that you can play. Thank you very much for sharing your experience and breakdown of what you have observed in playing music. That’s a good point about learning the keys that come up most often first. Some keys are pretty uncommon. Depending on the styles of music that you play, some keys may be practically non-existent. Note though, that the key of E (concert) is F# for Bb instruments which include tenor saxophone and soprano saxophone. So knowing the key of E (concert) or F# (on Bb instruments) is a very good idea if you’re going to be playing with guitars or strings ever. Being able to play music that you know for one saxophone on a saxophone in another key (tenor to alto, etc) requires transposition as well. Also, if you’re going to play jazz, which many saxophone players do, the key tends to change a lot more than it does in some other forms of music. Jazz players also like to change the key for kicks on standards (not so much for bebop). So the keys that are generally uncommon may pop up for a bar or a few beats in the middle of some jazz changes. Yeah Neal, I agree with you on that…not being able to play in the high-sharp and high-flat keys basically means not working with Rock bands and cover bands. And I imagine those DJ gigs you do would be similar. The reality is there are no hard keys…just less familiar keys. If you grew up in school band, you know Bb really well…but the rest get neglected. Want to gig with pros? They don’t care about keys because they’ve done the work. Yep, if a certain key keeps coming up, you tend to learn it. Haven’t really done the DJ gigs yet myself, I was just looking into it. Doron’s done more of those. Seems like it would be fun. Being able to play something in a few keys is a good thing, since then you know the process for getting into other keys. And practicing the unfamiliar helps you overall. I already know about this from Jamey Aebersold’s book. It gives me spontaneous idea of how to improvise using Modes by looking at the Circle of Fifths chart. Awesome! Thank you for sharing your experience. My friend Mr Razif, Assiociate Professor from University Science Of Malaysia who is also senoir music lecturer told me to practice at least 3 different keys of any song from the Real Book. I took a short jazz improvisation course with him a couple of years ago. How’s that..? The point isn’t always to know an entire song (especially complicated songs) in all keys. Knowing a phrase in all keys can be useful though. But learning a song in a few keys gets you accustomed to hearing the intervals more than focusing on the notes, which can be very helpful. And if you’ve figured out the song in a second key, it’s much easier to play it in different keys besides those. That’s a good idea that your professor had, in my opinion. Did you sign up for updates?